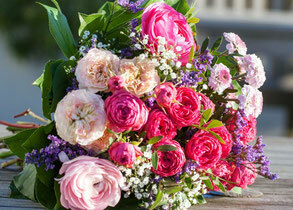 Another Valentines Day has come and gone and the flower industry has made another killing! LATAM Cargo operated more than 140 flights from Ecuador and Colombia up until February 8th, carrying more than 9,000 tons of the sweet smellers. They were carried to Europe, Asia, North America and parts of South America. The majority however were destined for the United States. Just over 8,000 tons - and extra cargo flights were laid on to meet demand. Lufthansa Cargo flew 900 tons of fresh roses from Quito and Nairobi to Frankfurt in time for distribution to florists within Europe. The flowers only remain in FRA for a couple of hours before being trucked to other cities. Constant temperatures of between two to four degrees have to be kept on the LH freighters throughout the complete logistics chain. 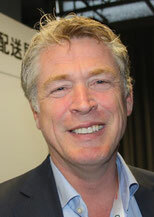 Air France-KLM-Martinair Cargo were not left out of the deal. Together they moved 3,300 tons of flowers from the traditional growing fields in Kenya, Ecuador and Colombia. Among those flowers flown were 1,100 tons of Kenya’s famous ‘Rhodas’ roses. It seems someone was busy counting them as the AF-KL-MP guys state there were 57,500,000 stems of this particular rose on board their aircraft. 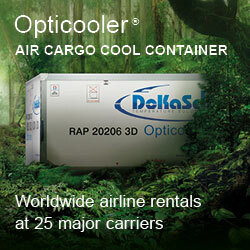 Can you imagine how many unhappy ladies we’d have on February 14th if there was no air cargo! 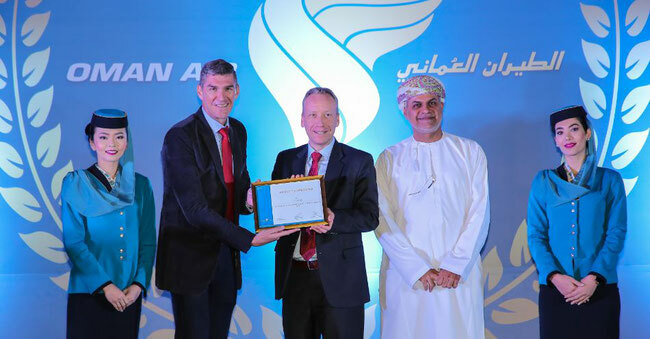 The Frankfurt-based ULD management specialists, Jettainer, have received The Certificate of Appreciation from Oman’s national airline, Oman Air. The certificate which was presented to Jettainer managers at a ceremony held in Muscat on 23. January honours Jettainer as being Oman Air’s leading international service partner during 2018. The carrier holds this ceremony each year in order to recognize important partners who have in their view supported the carrier in its growth process. Oman Air outsourced their ULD management to Jettainer in October 2017. Since then both companies have managed to reduce Oman Air’s container fleet by 20 percent, resulting in full savings, improvements in loadable weight per aircraft and reduced CO2 emissions. Moscow-based AirBridgeCargo Airlines (ABC) has entered a cooperation with Amsterdam’s CargoHub, which operates a cargo logistics quality and compliance platform. Together they have implemented a cargo claims platform for the Russian carrier. With this tool which received IATA’s cargo innovation award in 2015, the all-cargo carrier gives their customers the chance to manage their claims, or pre-claims, through what ABC and CargoHub say is a user-friendly online tool. The new platform has been designed to meet all of ABC’s needs within its organizational structure and is, they say, in line with its customers expectations. AirBridgeCargo was also one of the companies honoured at this year’s Budapest (BUD) Annual Awards gala (we reported). 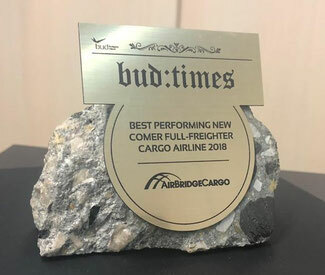 The airline took the award as being the Best Performing Newcomer Full Freighter Cargo Airline. ABC launched a twice weekly B747F service to BUD in mid-2018 and in the meantime have carried over 2,500 tons to the airport. The carrier plans to increase frequencies there in the future. Canada’s Cargojet Airways which has its main base in Hamilton, Ontario, has disclosed that they have acquired a ground handling and Ground Support Equipment (GSE) company at Montreal’s Mirabel Airport. The name of the company is so far being kept a secret. The purchase price was stated to have been CAD 3 million (US$2.3 million) and this includes all present assets as well as current lease agreements held by the company. Cargojet has quite a busy hub at Mirabel Airport. They operate around 15 - 17 weekly services from there to Moncton and Hamilton airports. The fleet of 21 aircraft consists of thirteen B767Fs and eight B757Fs which also operate to destinations throughout North America and to Germany’s Cologne-Bonn Airport. Geneva, Switzerland-based Cargo iQ has expanded its presence in Asia by adding Malaysian-based MAB Kargo as their latest member in the region. Cargo iQ which states it is committed to improving and implementing quality standards in air cargo recently also added Japan’s ANA Cargo as a member of the group. Ariaen Zimmerman, Executive Director at Cargo iQ commented: “Growing our international membership portfolio is an ongoing process, and welcoming new members such as MAB Kargo is an exciting development for us as we continue to raise our profile in all regions and expand our global air cargo network.” Kuala Lumpur-based MAB Kargo, which is part of Malaysian Airlines, operates cargo services to just under 100 destinations on scheduled freighter flights as well as belly cargo on Malaysian Airlines services. 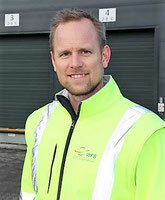 Worldwide Flight Services (WFS), the Paris-headquartered ground handling entity, has announced that they will invest in a brand new pharma facility at Denmark’s Copenhagen Airport. The handler sees the potential for further growth in CPH due to the ever-expanding pharmaceutical business in the region. Construction of the new building will commence in April and will cover an area of 1,500 square metres, providing a temperature controlled environment of between 2 - 8 degrees centigrade. The facility is being designed to have smooth offload, pre-storage, build up and transfer systems to aircraft. 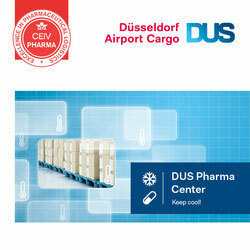 There will be a storage area on hand to accommodate up to 30 PMC pallets as well as 300 EURO Pallets. The cargo tonnage handled at Frankfurt Airport has not got off to a good start this year. Figures released by the airport’s operator, Fraport, show that air cargo tonnage in January dropped by 4.3% compared to January 2018. A total of 163,332 tons passed through the airport last month. The company states that ‘weaker global trade and the resulting dip in demand’ were the main factors for the air cargo shortcoming. Other Fraport Group companies which concentrate mainly on the passenger sectors, fared much better. Frankfurt Airport recorded a 2.3% rise in passengers handled (4.7 million) in January. Other regions in the Group’s portfolio also showed positive results for the first month of the year. Germany’s second largest airport, Munich, also reported a decline in air cargo for January. Only a total of 26,893 tons were recorded at the airport. This is a drop of 8,7% compared to the previous year. Egyptair Cargo has taken delivery of their second Airbus A330-200P2F freighter. The 13-year-old aircraft was converted into cargo by Dresden-based EFW (we reported). Egyptair Cargo plans to replace all of their elderly A300-600 freighters with more modern A330F versions. Qatar Airways Cargo has started twice-weekly B777F services from Doha to Kazakhstan’s Almaty Airport. The flights continue on to Hong Kong before returning to Doha Airport. Tampa, Florida-based Pemco Conversions is getting ready to convert a B737-700 passenger aircraft into a full freighter. The aircraft which will be able to carry up to 20 tons of cargo spread over 9 main deck positions, will be delivered to Bahrain’s Chisholm Enterprises which recently took a converted B737-700 from Pemco as a “combi-passenger-cargo” aircraft. Miami based Conquest Air Cargo which operated a daily Miami - Nassau, Bahamas cargo flight with their sole Convair C-131 freighter, lost the aircraft in an accident on February 8th. On the return flight from Nassau, the aircraft lost power on both engines and crashed into the sea just 10 nautical miles from the Florida coast. One pilot was found alive in a life raft, but one was missing, presumed dead. The aircraft was completely destroyed.